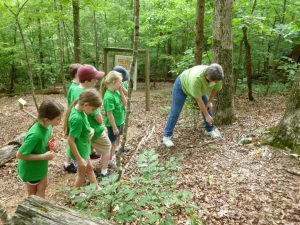 Ten years ago, Camp Dirty Knees was started to kick off the Carroll County Junior Master Gardener (JMG) program. A group of Master Gardener Extension Volunteers (MGEVs) who were also educators, started this project to address a need they noticed in the community. If children were exposed to horticulture education and gardening at a young age through a project like Camp Dirty Knees, then there would be an increased probability of the development of a lifelong passion for gardening. With this plan in mind, Carroll County MGEVs started with a three-day, 4-hour camp for children ages 9-12. The goal was to provide upper elementary children with a chance to actually dig in the dirt, to satisfy their curiosity about plants, and to promote a love of gardening. 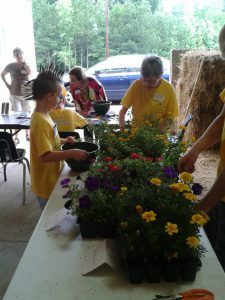 The hope was that the children who attended Camp Dirty Knees would want to continue learning during the school year and enroll in the Junior Master Gardener Program. Every year, there was success, as children enrolled in the JMG program after attending this summer camp. 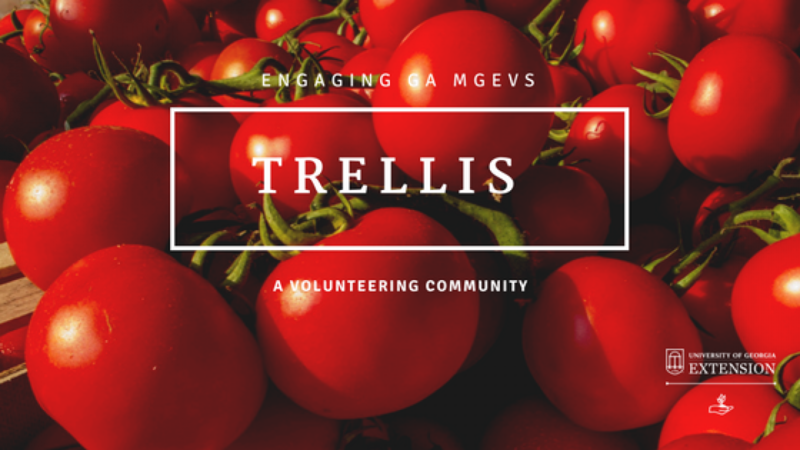 Not only has this project increased the youth’s interest in horticulture, but it has also increased the community’s awareness of MGEVs and how their volunteer roles benefit the community on many levels. MGEVs financially support this camp and offer scholarships to children to assist in covering the camp fee. Each year, the camp is held at the Carroll County Ag Center with activities held in Buffalo Creek Garden and hikes taken on the trail that is connected to the Carrollton Green Belt. The camp’s location also makes parents aware of these outdoor community spaces. By connecting with MGEVs through the camp, parents become more aware of and involved in other programs and workshops offered by Carroll County MGEVs. In addition to children and parents benefitting from Camp Dirty Knees, the program also has a mutually beneficial relationship with MGEVs. When preparing hands-on activities for children, MGEVs must return to their roots and determine what fundamental knowledge and skills should be passed along to beginning gardeners. Educating the camp attendees energizes MGEVs with encouragement as they take in the excitement expressed by the children as they learn. As a result of Camp Dirty Knees, MGEVs have had the opportunity to impact the lives of children and their parents. With the education provided by MGEVs and support of Carroll County Extension, children grow their knowledge of gardening and join the JMG program during the school year to continue fueling their excitement for learning about horticulture. Interaction with parents created a spark for interest in gardening and has allowed MGEVs to invite adults wishing to gain or increase gardening skills to programs and workshops. *This Carroll County project was featured as a 2016 Project Spotlight. To learn more about the project spotlight process and other MGEV projects around the state, go here and here.